Why do we recommend an architect? One answer is more obvious than the others – because we are architects ourselves. But why did we become architects, why do we believe deeply in our profession and our vocation, and in the value of high-quality design, in both a private and a public context? How important is design for us? We take it for granted that things work – there is no such thing as a bad car nowadays! But the manufacturers have to respond to an ever-greater wish for individualisation. Today, and in fact since the first half of the last century, the classical architectural style of an era has become less important and increasingly given way to an international pluralism. Anything is possible – we can build anything and everything today: Dutch, Tuscan, Frisian, classical modernism, retro or futuristic. It’s hard to find one’s bearings. In this pluralistic age we believe that architecture can provide bearings, and foundations. It sounds easy, but it’s actually very difficult: to do the right thing in the right place. That is why we became architects. We are certain that it is architects who can identify most closely with the task at hand and deliver the most individual construction project. We are convinced that architects can convey a high degree of financial security – although their work is highly individualised. Everyone knows that architects don’t get paid in advance. Once the client has paid for a design, it belongs to them. If an architect goes bankrupt he doesn’t take an advance payment of €50,000 down with him. The insolvency of the construction company IBG was the ruin of many clients and in this respect has lessons for everyone. The recurring issue of cost overruns is not a special problem afflicting architects, but is rather due to a lack of honesty and errors in communication and project management. Budgets that are pared down to the bone represent an incalculable risk. If the budget is tight, an architect should rather convince the client to reduce the volume of the structure in favour of a smaller, well thought-out concept that works. To sum up, we believe that an architect offers more security rather than less. So don’t hesitate, just give us a call. We will build your house. To a T.
The foundations of the house were laid in 1291. The clients were goldsmiths. 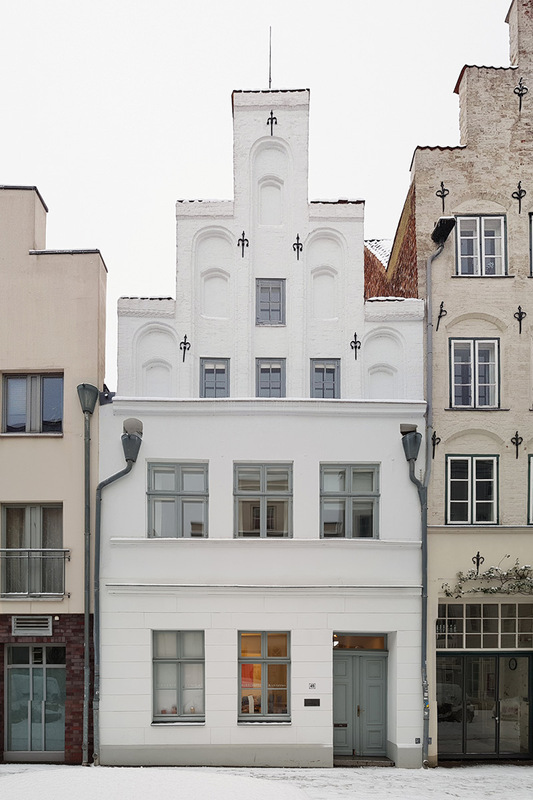 It is a front-gabled house typical of the old town, of the kind used by small businessmen with a regional network who had achieved a certain prosperity. Also typical are the repeated modifications made to the house in response to changing fashions over the centuries. In the case of this house, the previously Gothic gable, the design of which we know nothing about, was replaced around 1550 with a gable featuring high arches in the style of the early Renaissance. The owners were obviously still well off, 250 years after the house was built, because the profiles of the arches are elaborate and money was available for rope bricks too. At the time the house probably had a standard floor plan for the period, with a high hall and a slightly off-centre front door, so that there was room for a small office and a small shop at one side. In 1760 a small Rococo salon was added to the existing side wing as a garden room, which in the combination of its compact size, fine stucco work and well-proportioned, elegant harmony is unique in Lübeck. Rococo salons were built in the big townhouses of grand merchant families in the Founders’ Quarter and in patrician residences on Königstraße and Koberg, but on a much larger scale. The small Rococo room shows that the house owners enjoyed a relatively stable level of prosperity over the centuries. Around 1850 the style of the building was again modified in line with the fashion of the day. The owners filled in the façade on ground floor and first floor in a late neoclassical style and rearranged the ground floor. The entrance was moved to the side, making room for larger business premises. By this time the ‘production’ function had largely disappeared from houses of this type, and Lübeck had lost the status it had maintained over previous centuries as a rich, powerful metropolis and the leading city of the Hanse trading alliance. 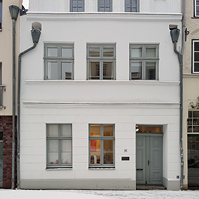 In 1981 the house was completely restored with the help of the Possehl Foundation. Over the following 25 years it was used as a gallery for contemporary art, exhibiting work by internationally recognised artists including Gerhard Hoehme, Emil Schumacher, Karl-Otto Götz, Penck, Kazuo Shiraga, Per Kirkeby, Arnulf Rainer, Eduardo Chillida, Richard Serra and many others. Since then it has also been owned by the parents of Joenne Hub, and certainly contributed to the way he sees architecture today. 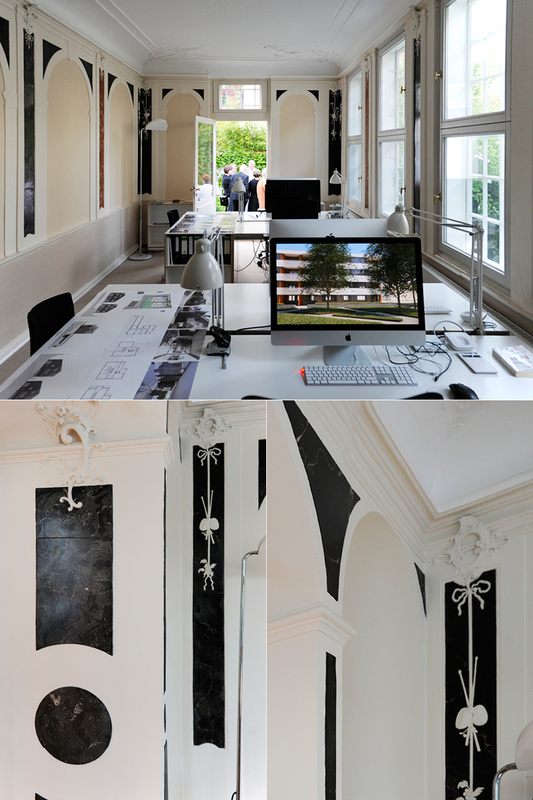 Since 2015 we have used the ground floor of the house and the side wing as an office for HUBSCHMITZ Architekten, and feel very much at home there. The atmosphere of a house like this is hard to beat, and over more than 700 years it has provided ample proof of its stability and endurance. 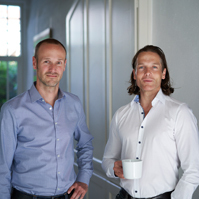 When Marcus Schmitz and Joenne Hub finished their degree at the ETH in Zurich in 2002, they both knew that one day they wanted to put their ideas about architecture and operating a service business into practice together. After working for eight years as an architect at Helmut Riemann Architekten and 9 months as project manager for a farmhouse in Alkersum on Föhr for Petersen Pörksen Partner Architekten, Joenne Hub decided in 2011 to set up his own business. Two years previously, Marcus Schmitz had also stared carrying out smaller refurbishment projects on a freelance basis. 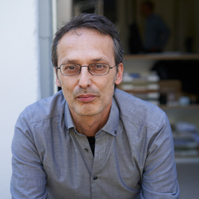 He had also gained extensive experience as an architect managing projects for de Biasio and Scherrer Architekten. 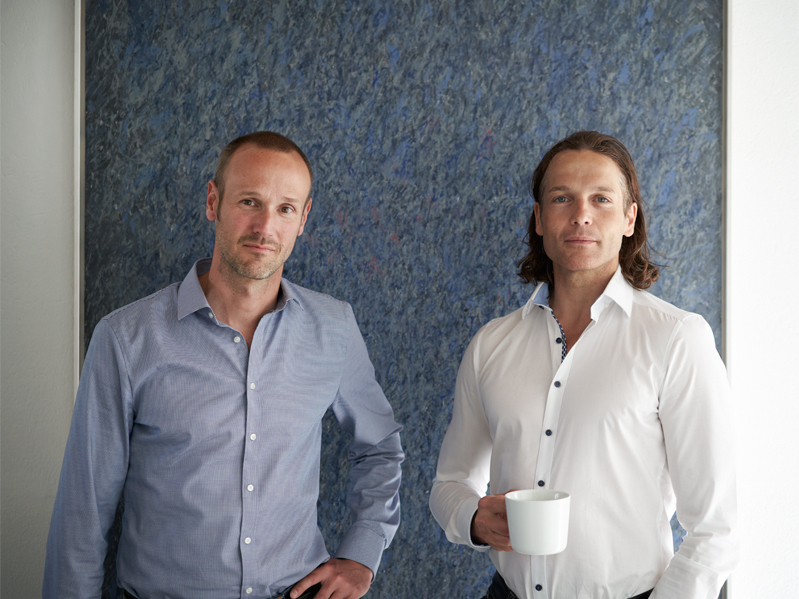 In 2013 Joenne Hub and Marcus Schmitz founded the firm HUBSCHMITZ Architekten GbR in Lübeck, and after winning a competition for a large apartment block in Bülach near Zürich, they set up HUBSCHMITZ Architekten GmbH in Zürich at the end of 2013. The team has grown since and can now tackle larger construction projects too. The Hubschmitz team consists of five experienced architects, each with 15 and more years of professional experience, an interior designer with a similar track record, also internationally, a young, very talented graduate with an international outlook and competition experience, a secretary and a tax clerk. So now the Hubschmitz team is well set up and ready to take on your planning work. 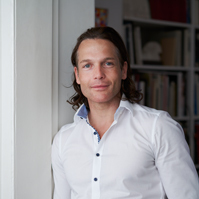 Marcus Schmitz is one of the partners and a highly experienced planner and project developer. His immense efficiency in design, construction planning and building not only help him to realise construction projects professionally, but also to ensure the client has a good feeling about the whole process. For him there is no such thing as a problem, only challenges and tasks. Does the client want to make the maximum use of the available land? No problem – it is a reasonable wish. His attitude is that the architect has to tackle the challenge of completing the task in accordance with design ethics and urban planning benchmarks, which we have to apply if we are to ensure our cities remain liveable. We are paid to find these solutions. Design quality and architectural theory are two areas in which Marcus Schmitz and Joenne Hub think very much alike. They identified this basis for their partnership during their studies together at ETH Zürich. 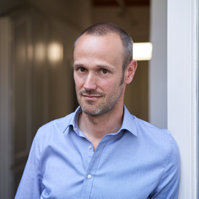 Marcus Schmitz firmly believes that good architecture does not have to be expensive and that luxurious, high-quality architecture does not have to slip into decadence. Take two, at most three ideas, and give them a strong and consistent expression, he says. Marcus Schmitz has a great name for a certain kind of widespread, undisciplined, overloaded architecture, that searches helplessly for forms, just for the sake of it and “because you can do it nowadays”; he calls it “prattling architecture”. Joenne Hub’s role as one of two partners is that of Creative Director. His approach to architecture combines an emotional, inspirational mindset with an underlying conceptional rigour that responds naturally to the demands of the place and the project, to create a passionate and simultaneously rational architecture, expressive when necessary, but always aware, measured and disciplined. 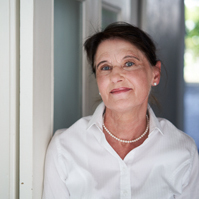 Joenne Hub is a staunch advocate of the idea that a construction project can only be steered to the right destination in close cooperation with the client. So he feels an obligation to convince the client and to tread new ground with them if necessary. During this process the client must be advised and supported. In a process of collaboration between equals, each side learns from and with the other and grows in response to the demands of task at hand. Joenne Hub believes that phrases such as “That won’t work”, or “We’ve always done it that way” or “That’s not how it’s done” are an expression of complacency and lethargy, due to the fact that it is hard to keep re-examining one’s own positions and convictions and adapting them as necessary. Changing perspective is hard. For our clients we do change perspective – when necessary. We think new thoughts, do research and build differently. If it solves a problem, an unconventional solution is very welcome. In our opinion, Silvia Filippelli is one of the best interior designers working in Germany. Her designs are defined by an exceptional feeling for proportion, colour and material. Her many years of professional experience are complemented by her broad horizons: born in São Paulo, she studied, lived and worked for 20 years in London. Together with Alberto, she gives our firm the international flair that we are convinced is conducive to an open mind. Silvia Filippelli is currently responsible for the interior design of the house on the North Sea island. This is one of the most wide-ranging and comprehensive interior design projects for a private house anywhere in Germany. Her working relationship with Joenne Hub is congenial and interactive. Thanks to Susanne Zarnkow, we have learnt that accounting can be fun! Her positive attitude to life teaches us all a lot, especially how to put people in a good mood. We hope we can give her something of that in return, and that she will continue to enjoy her work with us. In her spare time Susanne Zarnkow plays music. Lübeck is a good place to be for music, so she is right at home here. 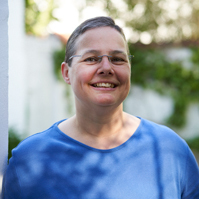 Petra Hoffmann is responsible for filing, invoices, phone calls, contracts, bookings, appointments with craftspeople, office events, a relaxed atmosphere and witty comments ... We could go on, but that’s enough for here. Michael Frey can look back on 20 years of professional experience. He is currently working with us on very specific, sophisticated details and coordination activities for the house on a North Sea island. His patient, polite and relaxed way of working is based on perception, understanding and professional expertise. He joined our team working on the holiday home at the right time and brings a great deal of energy with him. Andrea Voss has brought her strengths to our team since September 2017. Her experience and endurance from more than 10 years working at the architecture firm Helmut Riemann are a valuable addition to the office. Together with Marcus Schmitz she plans the projects in Switzerland. As a native of Dithmarschen she drinks tea and coffee. It can be done! 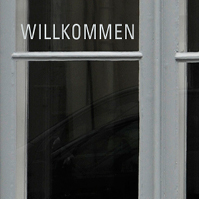 Even though Alberto Delgado is a German citizen; our office is becoming more international. He was born in Cuzco, Peru, and has seen a lot of the world. So after completing his degree he worked in Peru as an architect, where he learnt about environmental construction methods. His experience will bring a wealth of positive new inspiration to our office. Alberto Delgado’s approach to architectural design is structured, conceptional and delivers surprising results – and never before have we seen such exciting and artistic sketchbooks! He now brings a new strength to our team and works on competitions.